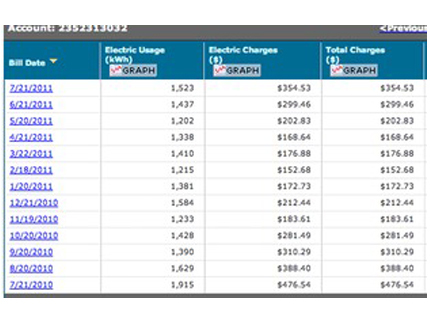 An Energy Usage Analysis is the first step in the solar system implementation process. The past 12 months of electric usage is collected from utility bill history (or downloaded from the utility company website). Based on this “real data”, we determine the production need of your solar system. Alternately, we can calculate the system size based on your average daily or monthly consumption number. 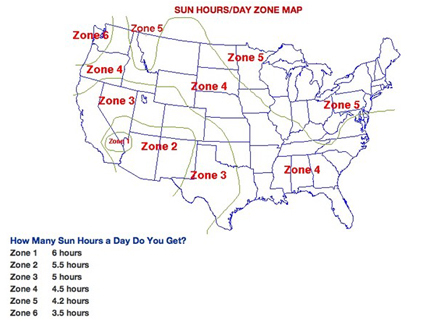 A Site Survey is conducted to determine the best installation site at your home. 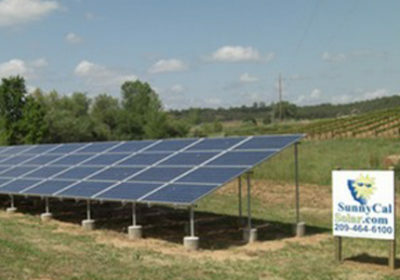 The solar array location must be decided between roof-top or ground-mount. A shade analysis is produced to detect shade problems due to trees or building obstructions. 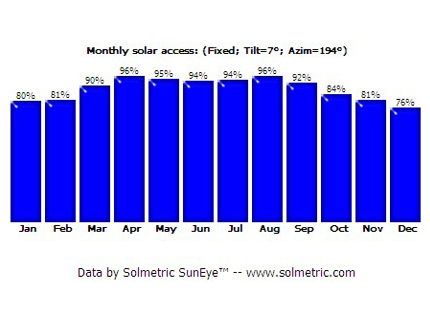 The monthly sun availability is then produced to show the expected solar performance for the chosen site. 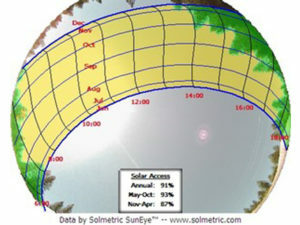 The shade analysis is performed using a Solmetric SunEye(TM) Measurement System. 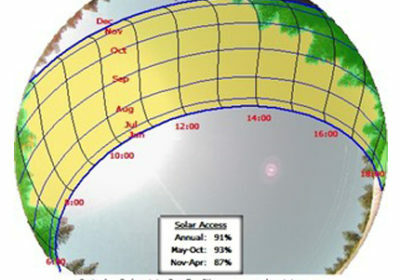 The average available sun is then calculated for the average monthly. 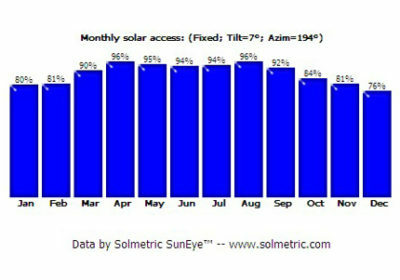 Below is an example of the monthly solar access resulting from a SunEye Measurement. Solar System design is completed to determine how many solar modules and inverters are required to produce enough power to meet the electric bill reduction goals. If battery backup is desired, the inverter equipment must be selected at the time of system design. System Installation is performed on the roof or ground, based on shade report or customer preference. The power inverter is best located on a shaded wall, near the main breaker panel. We work with customers to select the best installation location to match the technical and visual goals.